Amanda started her real estate career in 2006 working in land development then progressed to leasing luxury office space and eventually found her passion in residential sales. She is consistently a top producer (#1 at her previous brokerages) and as a Certified Negotiation Expert, Amanda thrives in bidding war. 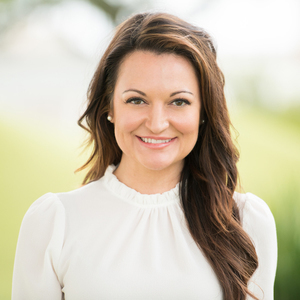 An Accredited Luxury Home Specialist, Amanda continues to shine in the luxury market where she recently represented the buyer in the largest transaction in Houston in November of 2018. She also excels in representing sellers as shown in her track record of receiving multiple offers, over asking price on the majority of her listings in 2018. Amanda enjoys working with everything from first time home buyers to investors to seasoned luxury clients. Her dedication to consistent and adaptable communication provides a seamless and unparalleled experience and continually creates repeat clients. Amanda is dog lover and self-proclaimed foodie. When she's not selling homes you can find her running or biking along Buffalo Bayou and you can always count on Amanda for a great Houston restaurant recommendation. She often volunteers at the Houston Food Bank and enjoys raising funds for local charities like PetSet, Homemade Hope and Habitat for Humanity. A proud inner-looper, Amanda lives and plays in the same areas where her clients are buying and selling. She can speak first hand about the pros and cons of various neighborhoods and her passion for the real estate goes far beyond helping her clients find a home but more importantly to show them a way of life and all that Houston living has to offer.